Wait, haven’t we seen a 3D floral look like☝️before?! Yuppppp. We have. Couldn’t mistake that perfectly-placed flower statement. It’s just so trendy… Well, that’s what Pink Princess has been doing for over a decade. 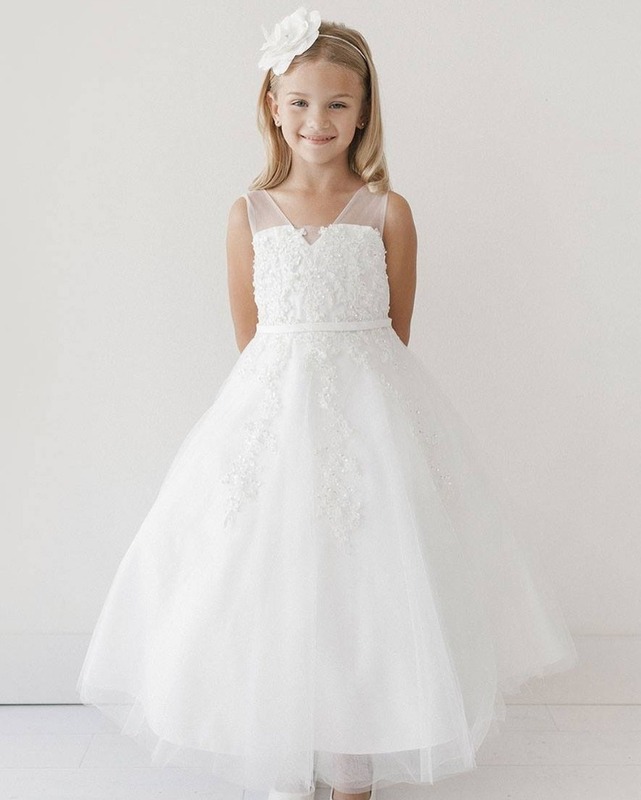 Taking styles trending in the bride world and miniaturizing them for discerning little divas! A flower girl’s debut is right before the bride herself, so why wouldn’t her fashion be just as fierce? From flower girl dresses to holiday attire, activewear to creative costumes, Pink Princess creates all sorts of formal fashion for every occasion. Offering incredible options for girls, boys, and infants, Pink Princess spins charming designs, comfortable fabrics, and affordable prices into looks that legit make the little ones feel like royalty. And that seems to be especially sought-after right about now… You know, since the Duchess of Sussex is giving little girls all the goals as of late! We figured we’d start with a few of the motifs we’ve seen making waves in the wedding world, and then see what the trend looks like on a tinier trailblazer. Can’t even deal, the looks are soooo good!! Modern coverage at its finest. 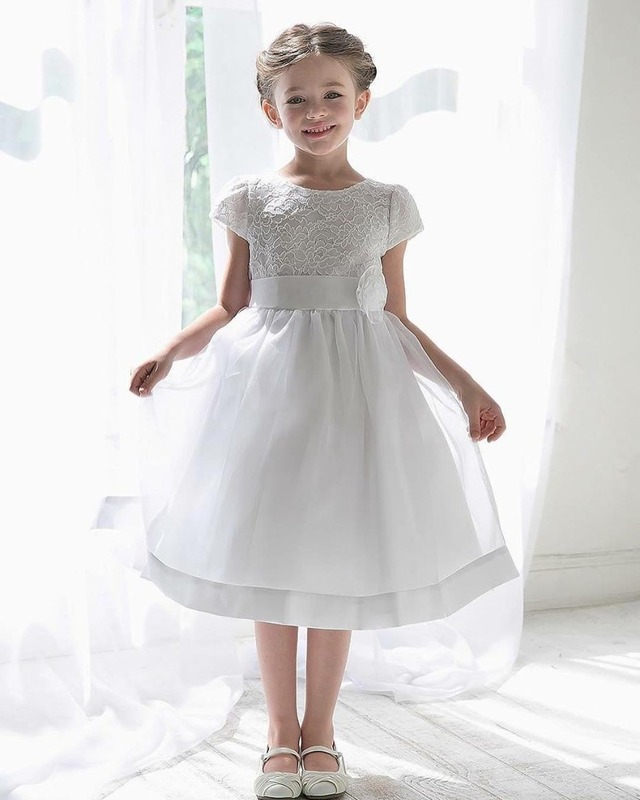 Cap sleeves have been a fixture in the bridal world for a while now, but the trend is all the more perfect for pint-sized purveyors of prêt-à-porter. This dress has an almost tee-shirt quality to the top, which is super comfortable for FGs. And the floral cord embroidered lace bodice gives it such a 👌 feminine touch. Okay, so tulle isn’t exactly new wave in wedding wear, but that’s okay. It will ALWAYS be a cherished and coveted fabric for brides. 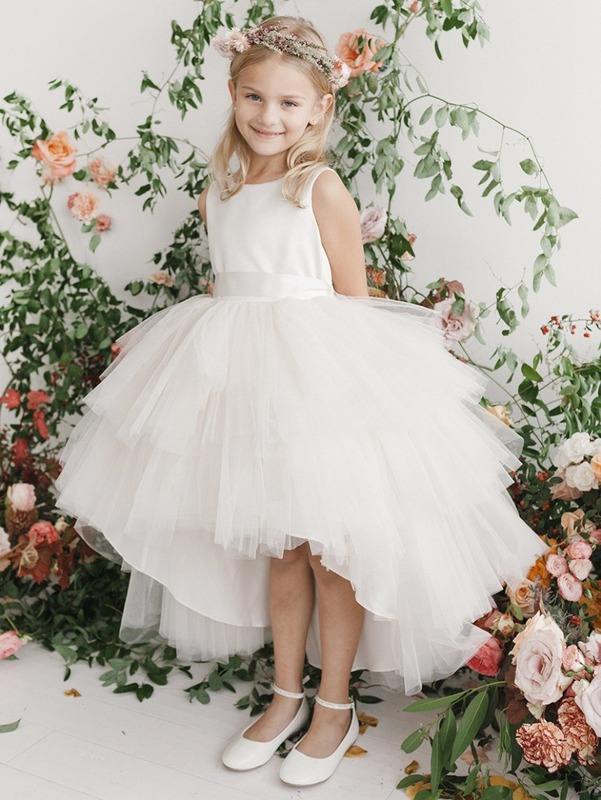 And for flower girls, the tutu-style sitch will never go out of style. Not only does this dress have prima ballerina written all over it, it also has a multi-tier high-low ruffled skirt, which just adds to its playful, avante-garde (hugeee with brides this past season) aesthetic. What once made every bride shudder - thinking she’d betrayed her signature shade - by going with a color other than white for her wedding, is now becoming a distant memory. Designers like Vera Wang and Claire Pettibone are minting gowns with prismatic playfulness, and when it happens for a firecracker flower girl, it’s just as on-point. The floral embroidered bodice is BEYOND!!! 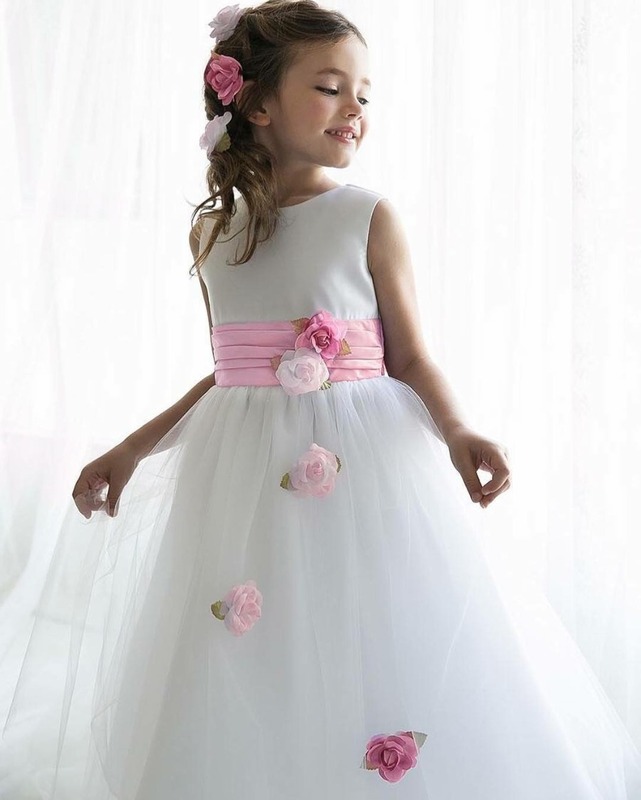 If your flower girl has a thing for fashion, she’s going to fall in love with everything Pink Princess. We have it on good authority that the gowns they’ve got have serious girl power. #photographsphenomenally. Start shopping now, and enjoy free shipping on orders over $30 (plus free returns) and same-day service from LA for orders placed by 4pm EST Monday thru Friday. We partnered with Pink Princess to bring you all this flower (girl) power! As always, thank you for supporting our sponsors!